Now is the time to plant your ryegrass for the upcoming cool season! Mansfield Feed has all the tools you need to plant, fertilize, and more. Come by the store to pick up your ryegrass seed and our trained staff will be happy to answer any planting questions you may have. 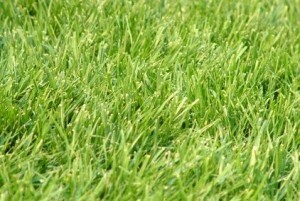 Planting winter ryegrass in Texas is done by over-seeding existing lawns, bare ground, or weedy areas. Good lawn grass candidates are Bermuda, zoysia and winter dormant grasses; do not overseed St. Augustine. According to the Texas A&M Cooperative Extension, the time to apply ryegrass seeds is two to four weeks before the first frost. Based on average first frost dates from the National Climatic Data Center, seeding dates in North Texas vary from late September to November 1. This entry was posted on Friday, September 21st, 2012 at 11:33 pm	and is filed under Garden, News & Updates. You can follow any responses to this entry through the RSS 2.0 feed. Both comments and pings are currently closed.